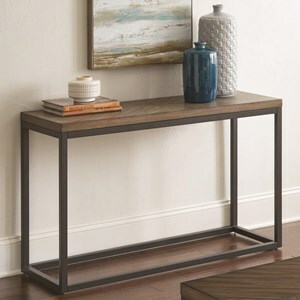 This console table is a beautiful interplay between colors, textures, and materials. The starring feature is the diamond-matched top that emulates a parquet floor. 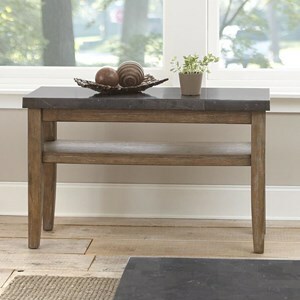 Alongside the warm oak veneers is a sturdy metal base finished in dark charcoal. 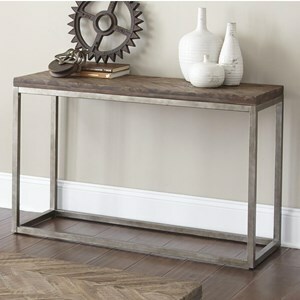 Together they create a look with a vintage industrial inspiration that's cozy and casual enough for any home. 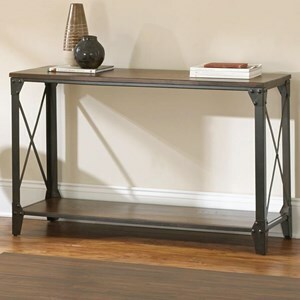 The Aleka Industrial Sofa Table with Diamond Veneer Top by Steve Silver at Sadler's Home Furnishings in the Anchorage, Fairbanks, Sterling, Alaska area. Product availability may vary. Contact us for the most current availability on this product. Trade in that tired wood coffee table for something a little bit more fresh. This collection is the perfect way to upgrade. 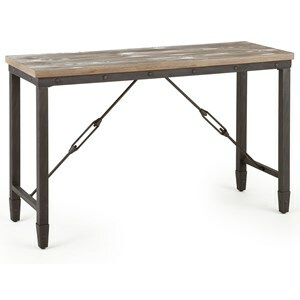 This collection of living room tables has a vintage industrial edge, but the overall effect is cozy and casual. 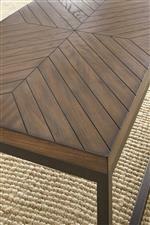 The parquet-pattern diamond design on the table tops helps create a room that's totally share-worthy. 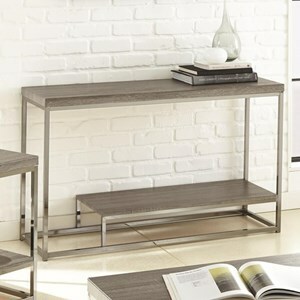 The Aleka collection is a great option if you are looking for Industrial Contemporary furniture in the Anchorage, Fairbanks, Sterling, Alaska area. 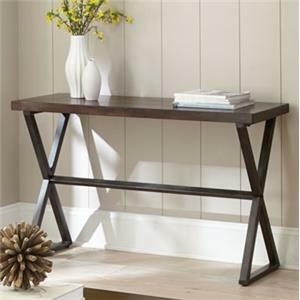 Browse other items in the Aleka collection from Sadler's Home Furnishings in the Anchorage, Fairbanks, Sterling, Alaska area.